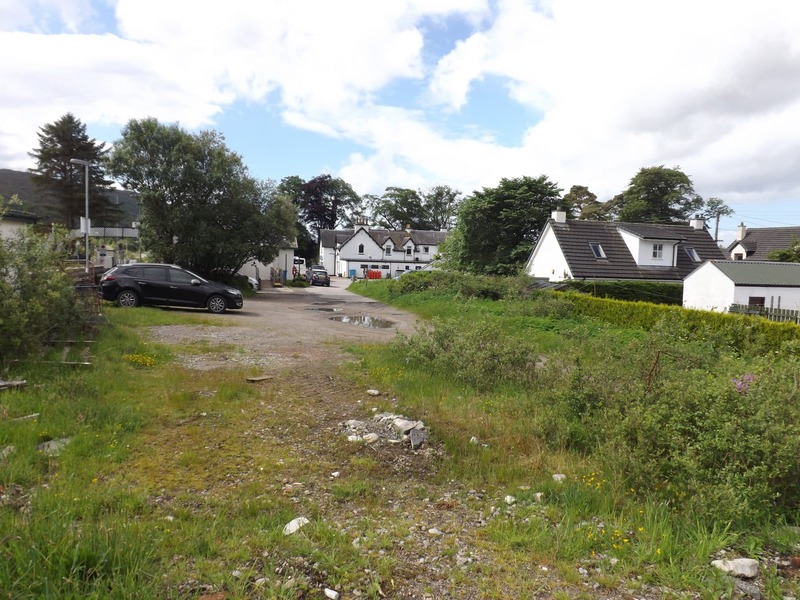 The subjects for sale are located in the heart of the pretty highland Village of strathcarron and comprise of a flat and easy to develop Building site. The site itself is located beside the small railway station and provides an excellent opportunity for retail/office commercial Development. 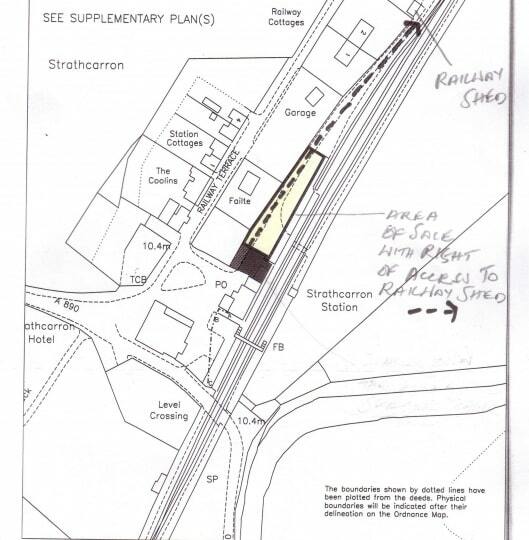 Full planning permission has been granted for the Erection of retail/office premises and is dated 06/10/11. railway station and provides an excellent opportunity for retail/office commercial development. Full planning permission has been granted for the erection of retail/office premises and is dated 06/10/11. It is possible that residential or other uses may be given consideration and this could be discussed with the planning department in order to gain the necessary consents. The overall size of the site extends to 948 sq. metres although some 490 sq. 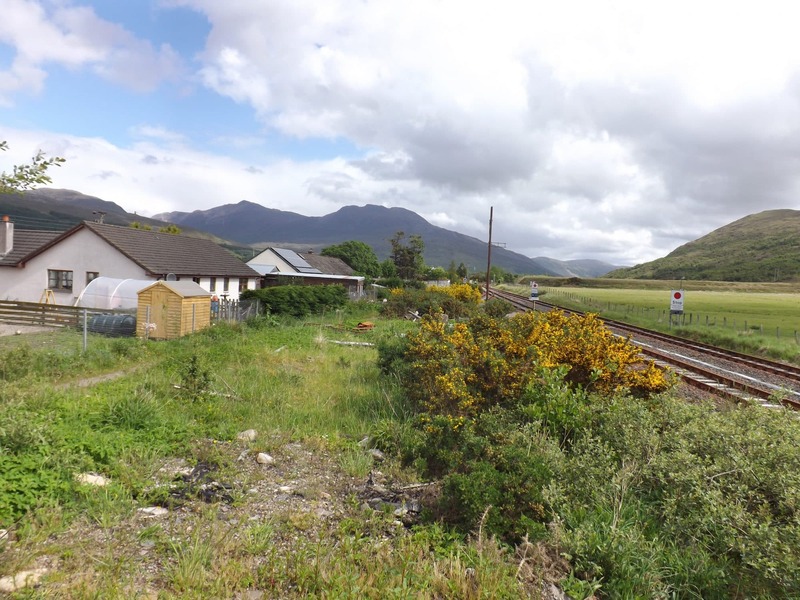 metres could not be developed as an existing building occupies part of the site and there is also a vehicular right of access through the site to another site for Network Rail. There is also a right of access to the Platform. The site does however represent a good development opportunity. Full planning permission has been granted for the erection of retail/office premises and is dated 06/10/11. this agency and can also be viewed on the Highland Government website www.highland.gov.uk reference number 11/02866/FUL. Interested parties may also wish to contact the planning office at Dingwall Council Offices, 84 High Street, Dingwall IV15 9QN or telephone: 01349 868600. 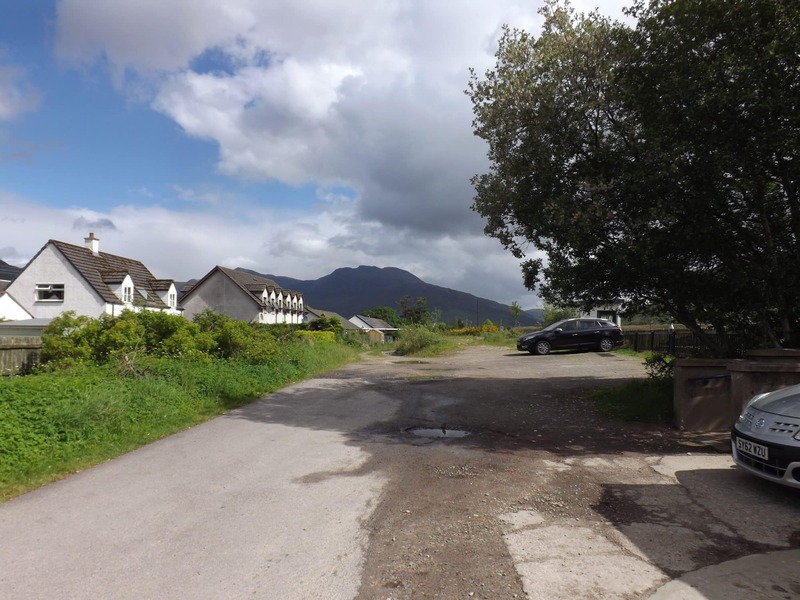 Strathcarron is situated at the head of Loch Carron and is a small village comprising of both traditional and new build homes. 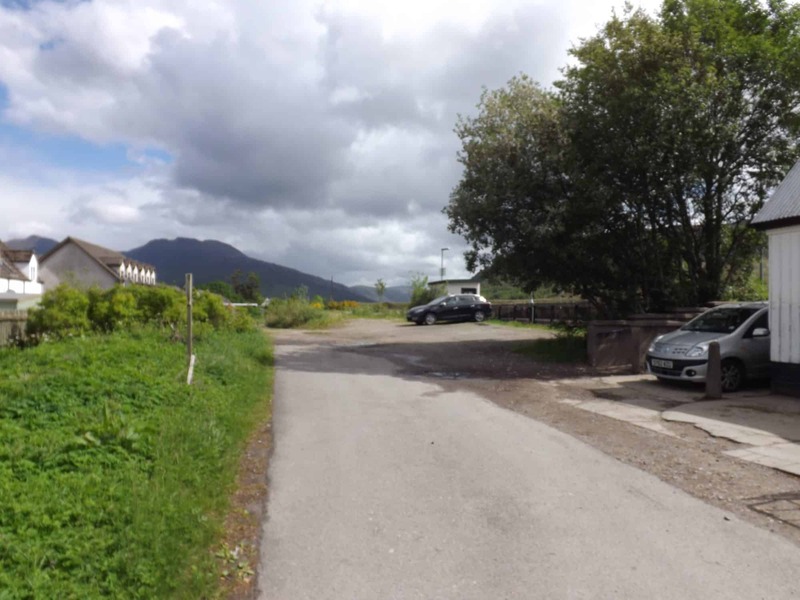 The village has its own hotel, post office, IT centre and railway station and is conveniently placed between the bigger villages of Lochcarron and Kyle of Lochalsh which provide a wide range of shopping and leisure facilities. 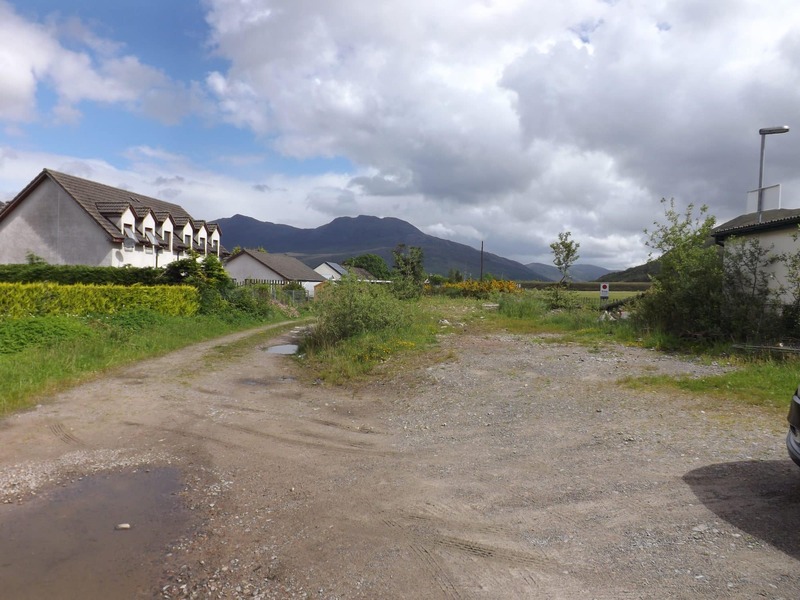 Lochcarron is some 4 miles to the west and the bigger village of Kyle of Lochalsh is about a 25 minute drive away. Mains electricity and water are believed to be close by. Drainage would be by way of a septic tank. Offers over £55000 are invited and such offers should be submitted in proper Scottish legal terms to The Isle of Skye Estate Agency.